Marketing to your existing customers and using marketing to expand is obviously important for any small business. Radius marketing, which targets people around a certain address, could be just what your company needs. Keep reading to learn more about this style of marketing and how it can help you retain your current customers and find new ones. Radius marketing is a simple idea that many small business owners should be using to build their companies and stay in touch with community residents. Simply put, radius marketing means targeting potential customers who live around a certain address. The lead generating module in the small business marketing store can generate your mailing list in a certain radius and in whatever quantity you desire. If you’re looking for homeowners or deal seekers with a particular income level or with children, you can add on those types of demographic selections also. Most small business owners don’t really know how many potential residential or business customers are in their area. There are probably thousands practically right around the corner from you. Unlike massive direct mail campaigns, radius marketing can help you find the right customer—those located in the right area and with the right demographics! You can even target the neighbors of your recent customers. Marketing to nearby consumers not only keeps existing customers from forgetting about your business but also makes them aware of upcoming promotions or sales. Who Can Use Radius Marketing? 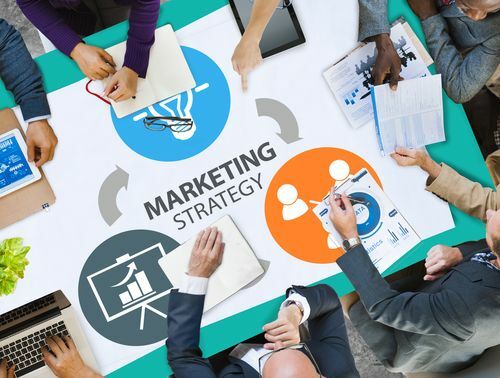 Real estate companies, HVAC contractors, dry cleaners and a whole host of businesses use this type of marketing to get the attention of nearby potential consumers. This style of marketing also greatly benefits services that a vast majority of people use, like dry cleaners and gardening and landscaping services. No matter what you do, radius marketing can be an effective tool. What Is Your Client Follow-Up Program Missing?